Lace – it’s traditional, it’s simple, it’s elegant and it’s here to stay. 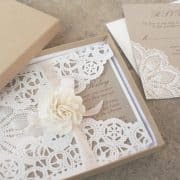 We are loving all the beautiful ways to incorporate lace into your wedding day, from the bride and her gown, or accessories, to the table and stylish touches around the wedding venue. Here’s some of our favourites; you can head over to our Pinterest board to see some more. We’d love to know how you incorporated lace into your wedding details. The Great & The Good – The Great Barn shares wonderful wedding inspiration, bridal style, bridesmaids, groomsmen, wedding stationery, wedding flowers and reception detailing. 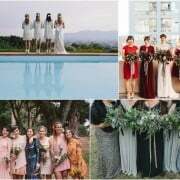 Chosen from wedding blogs like Rock My Wedding, Love My Dress, Whimsical Wonderland Weddings, Boho Weddings, Green Wedding Shoes, Bespoke Bride and more.